Your Family. Your Care. Our Priority! 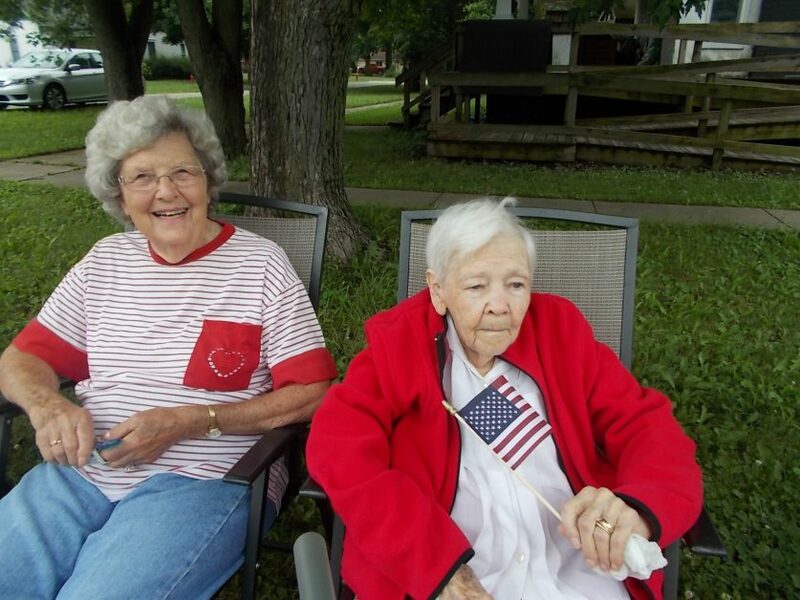 When older adults are included in group celebrations like 4th of July, they feel engaged in life and connected with family and friends. But some traditional activities might not be well-suited for seniors. We’ve rounded up over a dozen ideas for adapting those traditional activities so older adults can join in the fun while staying comfortable and calm. Many seniors still enjoy traditional celebrations like going to a relative or friend’s house for a lively barbecue. Others love to see live fireworks in the evening. Limit direct sun exposure by seating them in a cool and shady spot. Bring a light jacket or blanket to keep them warm at night. Standing is tiring. Make sure they always have a comfortable seat that supports their back. Bring a cushion, portable chair, or wheelchair if needed. Bring their favorite beverages and frequently encourage them to drink so they’ll stay hydrated. Take regular bathroom breaks to reduce or eliminate the chance of an accident. For seniors with Alzheimer’s or dementia, limit the time spent at large gatherings to reduce the chance they’ll get agitated, anxious, or angry. Many older adults aren’t able to leave home anymore, but would still enjoy participating in holiday celebrations. A wonderful way to enjoy the 4th of July is to bring the festivities to them! Throw a backyard barbecue at their house. Your senior can participate when they want or just people-watch. This lets them join the fun, but keeps them from getting overtired or overstimulated, especially important for those with Alzheimer’s or dementia..
Ooh and ahh together while watching the fireworks broadcast on TV. Watch a fun, lighthearted movie classic – like Singin’ in the Rain. Play simple card games or classic board games. Involve your older adult in cooking and food preparation as much as they’re able and willing. It’s another way to feel like they’re contributing and are included in the group. Make traditional foods like hot dogs, hamburgers, potato salad, and coleslaw. Prepare a simple patriotic dessert — try one of these Jello recipes or these colorful fruit skewers. Involve them in fruit or veggie preparation or ask them to assemble prepared salad ingredients in a big bowl. Organize an ice cream social. You could even make it a sundae bar by including a variety of toppings. Create paper flags and other decorations to hang everywhere! Try this fun star wreath. There are many creative ways to adapt 4th of July activities to meet your senior’s needs. The most important thing is to stay relaxed and go with the flow. Focus on helping older adults feel included and creating positive memories for the whole family. Find the community tools and information you need. Assisted Living, Independent Living, Memory Care. Learn how VA benefits can help pay for senior living. ©2017 A Right Place for Seniors.